Following on from the cable knit vs Modern/fleece jumper thread, caps have been mentioned. It only seems fair this one is put to the vote too. I prefer a traditional cap, but they are rubbish these days compared to the older versions I have. I normally reach for the floppy sunhat now instead. Some baseball caps are more acceptable than others. Its the low quality mesh ones with the manufacturers logo plastered all over one side that are particularly horrific. Others have a more traditional design and are plain except for the club logo embroidered on the front. I tend to field in a club baggy but then bat in a (decent quality) club baseball cap. Greg Chappell ones are the best. SS ones are cheaper and pretty good too. They have extra towling to stop the sweat. Baggy or traditional English style wool cap all the way for me. What cricket is supposed to look like. Also, love the way they wear in, you have to earn the sweat stained worn in look. Wide brim greg chappell hat . Im too pasty white for anything else. Had to be a wide brim! ha @Northern monkey looks like you have lost your whippet. 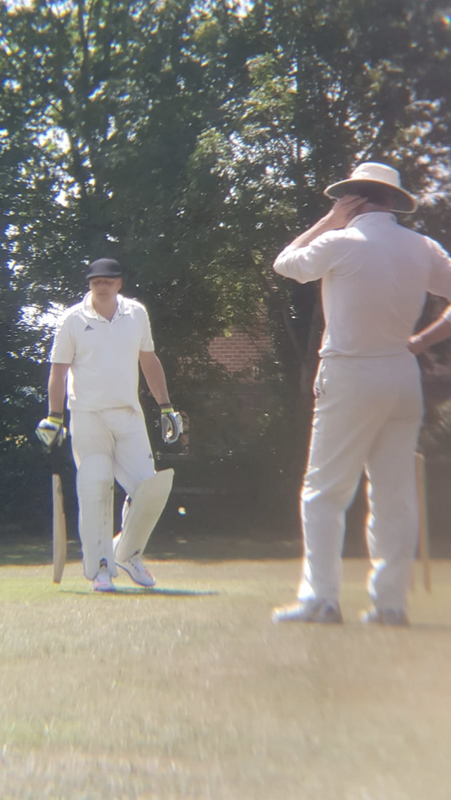 While the guy in the wide brim is thinking "how can someone in that hat score so many runs"
I wear a hat like that virtually every day to commute to work - am also Northern - never batted in it, but perhaps that is where I'm going wrong, is it the source of all your powers @Northern monkey ? Page created in 0.526 seconds with 41 queries.